For most of us, September means the air gets cooler and the pace of life gets quicker. Also, food is often a topic of conversation at this time of year. We may find ourselves braving busy grocery stores, managing family dinners, and planning for upcoming holidays, all while still trying to keep health in mind. How can this all be made easier? Nutrition messaging is everywhere, and it is hard to tell which information is science-based. This can cause us to think and worry about food and health constantly. As a dietetic intern talking about food every day, I have experienced this too! Here are a few particular thoughts that help to remind me that eating should be effortless. 1. Food is just Food. Chocolate is less nutritious than broccoli, but will a single piece of chocolate or broccoli really tip the scales one way or the other? I believe categorizing food as “good” or “bad” adds unnecessary stress and shifts the focus away from healthy dietary patterns and lifestyle. 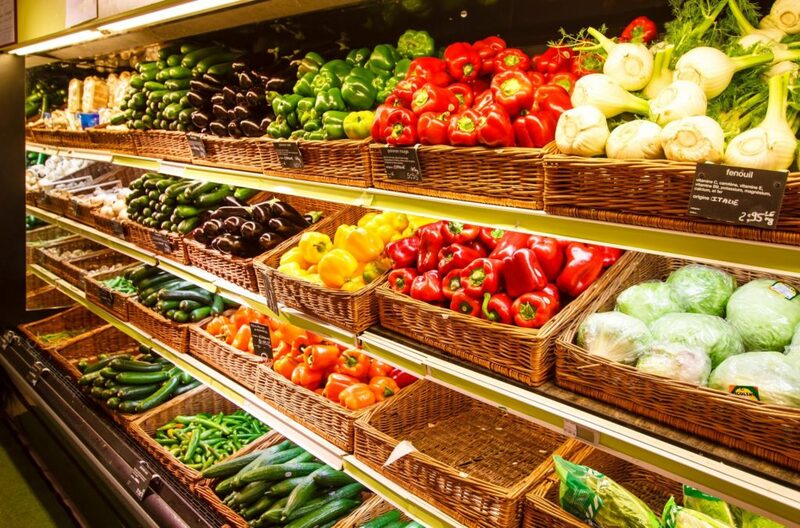 Fill your plate and shopping cart with foods that promote good health, and be sure to look at your diet as a whole before scrutinizing individual food items – research shows that your overall diet is a better predictor of health outcomes (1). 2. Make time to eat mindfully. The nature of our society today almost makes eating a meal seem like an inconvenience that slows down our important daily tasks. But as Dr. Doug Klein likes to say, nutrition and physical activity is really just “eating and moving” – the most basic and fundamental parts of our lives. So, instead of rushing, listen to your body: try to eat when you are hungry, and stop when you are full. Pay attention to what – and how much – you eat. Slow down. Allow yourself the time to taste your food, and enjoy it. 3. Food is only one part of a balanced lifestyle. When life gets busy the time to sit down and eat gets tricky. Often meals are squeezed in between activities or eaten on the run (or in the car). Not only do we eat quickly, we often eat things that are easy but not the best. While visiting France, Dr Klein was reminded that the classic Mediterranean meal is an experience lasting several hours. Remember that meals should be shared with our friends and family. Build in some time to share not only a meal but an experience. It is understandable that eating can get over-complicated by the nature of our busy schedules and the world around us. However, by allowing foods to be neutral, slowing down to listen to our bodies, and making food only one part a balanced life, we can put the ease back into eating. (1) Ashima K. Kant (2004) Dietary patterns and health outcomes, Journal of the American Dietetic Association, 104:4, 615-635, DOI: https://doi.org/10.1016/j.jada.2004.01.010.